Cover up with sweat-wicking arm warmers. Add extra coverage during training sessions with these arm warmers. 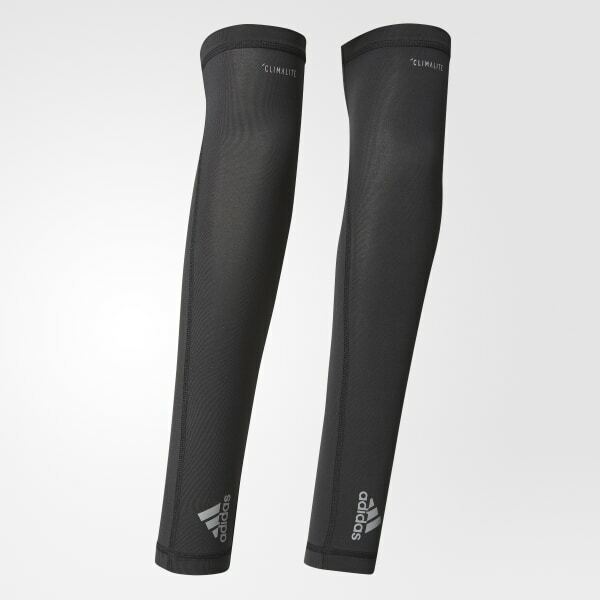 Made with moisture-wicking fabric for dry comfort, they stretch over your arms for a snug fit. Finished with reflective details.